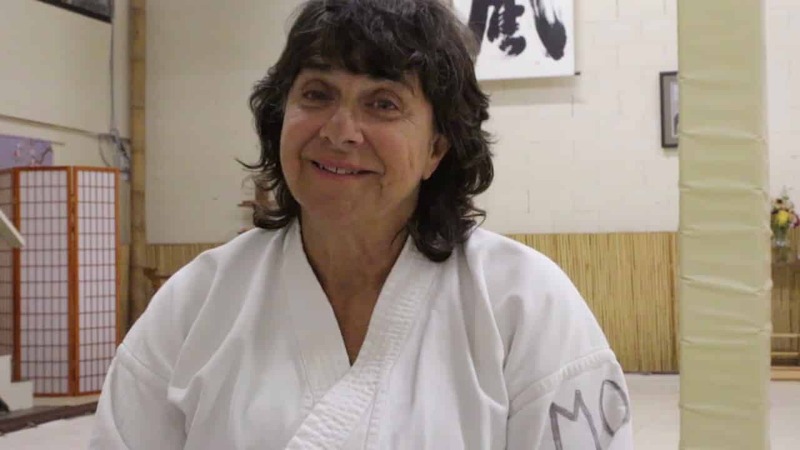 A couple of months ago, I recorded an interview with Molly Hale Sensei. In this video, Molly talks about why she still trains in aikido after 30 years and in our dojo, in particular. I have also included a transcript in this post. One of the things that brought Jeramy and I to this area was the fact that there’s some marvelous Aikido right here in this dojo. That was a critical aspect to us for any place that we moved that it had to have not just Aikido. But it had to have Aikido like here, full of heart, full of a broad cross section of people, all different walks of life, all different ages, from the little people up to some of we older-timers. The community of people, they’re joyful. There’s serious training, but the training temperament is of heart, of joy, of being connected to each other. It’s not just on the mat. It’s in the community itself. I find that the people that are here in in this dojo are very aware of carrying it out into the world in their daily personal lives and in their lives within the community. That was really important. What keeps me training, because I’m sort of an anomaly in terms of the typically able world because I’m not typically able. I have been training in Aikido for 32 years and 11 of them were on my feet. I refer to the last 21 years as being on my seat. It’s kind of like “What brings me?” A huge thing that brings me, of course, is the community of people, because where else do you go where the basic premise of coming together is to polish the practice of how do be loving to self and other? how do you be loving to the world? To join with a community of people where that’s their premise, that’s what they are coming in to explore, to inquire, what does that look like? It’s pretty outstanding. You can go anywhere in the world where there’s Aikido and you can into the dojo and the first agreement is to touch without harm. Sounds like it’s an ideal thing to me. I keep coming back because I keep learning. After 32 years, you think, “Oh, you know it all.” Not. There’s so much to explore in Aikido. What brings me back, really, is the people and the open inquiry into how do I, in the world, be more loving, as input. I have places and times and things that it’s like, that wasn’t very Aiki. I just know that there’s more room to polish. I’m mostly not knocking large chunks off anymore, but there’s still all that polishing that’s possible, and in a community of people that are there and are supportive of the doing.